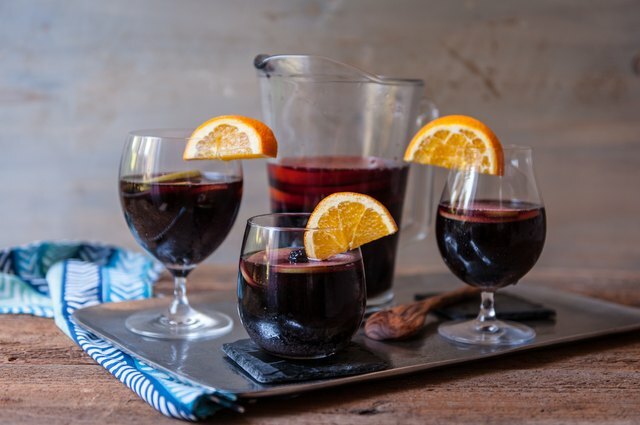 Warm nights just beg for batch cocktails, and the mother of all batch cocktails is the classic red wine sangria. 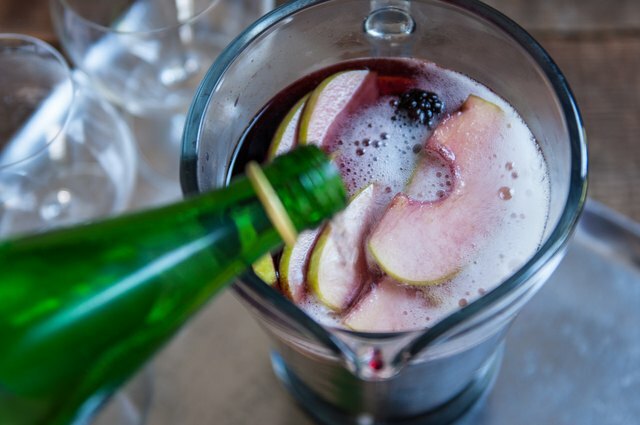 With three kinds of booze, fresh fruit, and some bubbles for good measure, this pitcher is sure to be a crowd pleaser. Enjoy this classic recipe, or if you want, make it your own by adding favorite combinations of fresh fruit, flavored sparkling water, and replace the brandy with rum or bourbon. 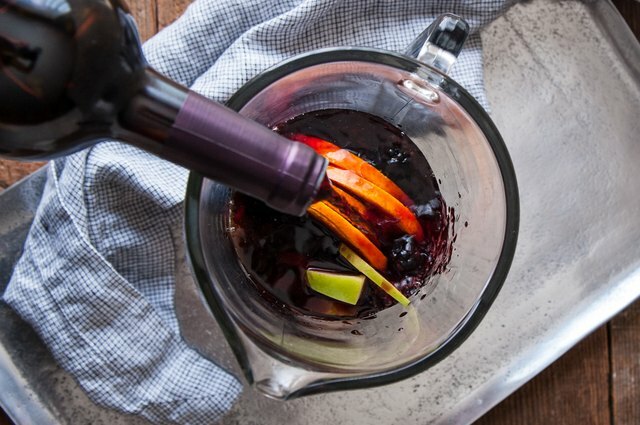 The most important step in making sangria is letting it rest overnight! 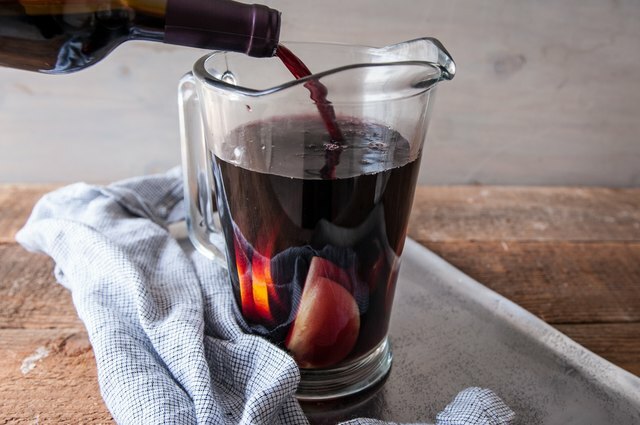 Don't skip this step or your sangria will taste bland, unbalanced, and a tad bitter. Any red wine you enjoy will do! No need to use an expensive bottle, most people favor well-priced Spanish table wines. 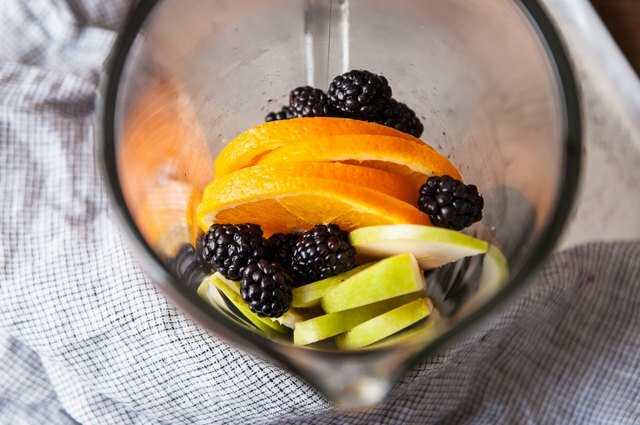 Slice the apple and orange, and add to a large pitcher along with the blackberries. Add the sugar, brandy, orange liquor, and wine to the pitcher. Stir to insure it's well combined. Not a fan of the traditional brandy? Try a white rum instead. This is the most important step. Cover the sangria and allow it to chill in the refrigerator for 24 to 48 hours. The fructose from the fruit will sweetened the wine and the flavors will marry and round out. Drink it now and it will taste flat and unbalanced. Add the sparkling water, sparkling lemonade, or tonic to the sangria. For a sweeter sangria, use tonic water; for a sweet and slightly citrus-y sangria use sparkling lemonade; for a less sweet sangria use sparkling water. Ice is optional! Some people like to use it to keep the drink cold, others think it just waters it down. 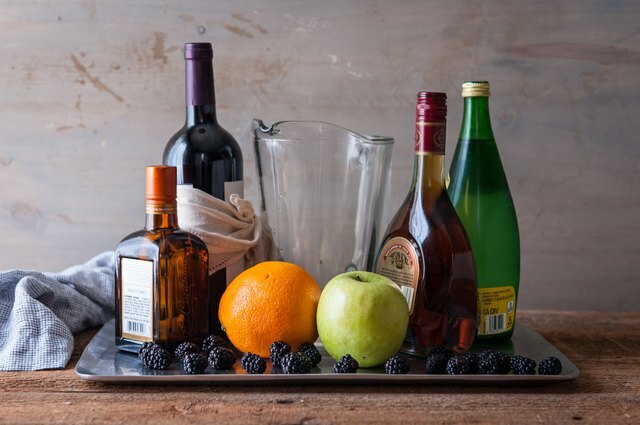 For a chilled sangria, without the watered down effects of ice, use frozen berries to keep that cocktail cold!